I say it’s about time for spring. Determined to wish the cold weather away, I packed up my winter clothes over a month ago. I would agree, a bit optimistic, but that’s me. We’ve had some breaks in the cold temps here and there, but I’m done. Done people! 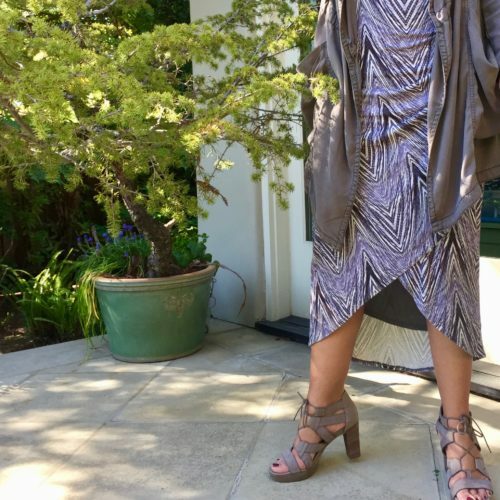 During those days when the weather heated up a bit, I was so excited to break out the sandals and spring dresses. 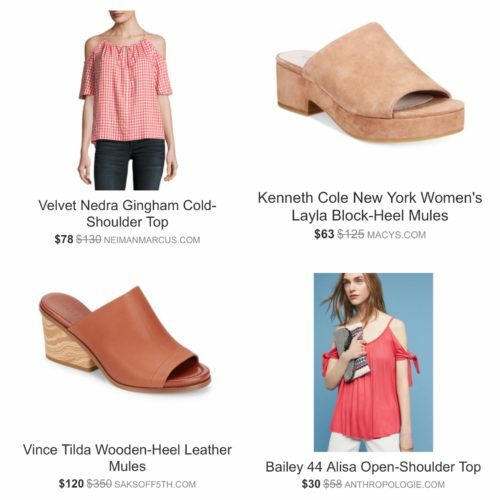 Figuring you might be in need some inspiration yourselves – to kick winter to the curb, I’ve collected a few looks to get you in the mood for warm weather season. 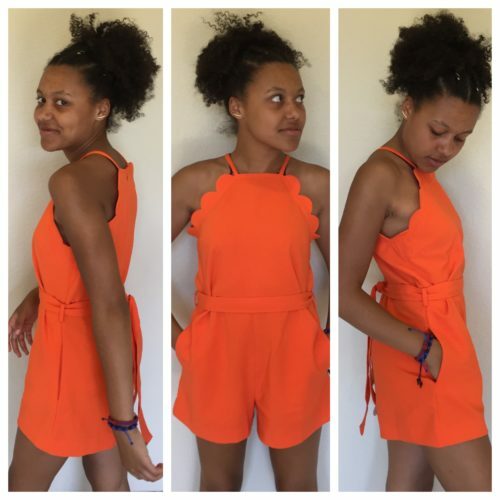 Next, I’ve got a special guest, who shows us how she styled her Victoria Beckham for Target romper – now on SALE for $24.50! (HERE). 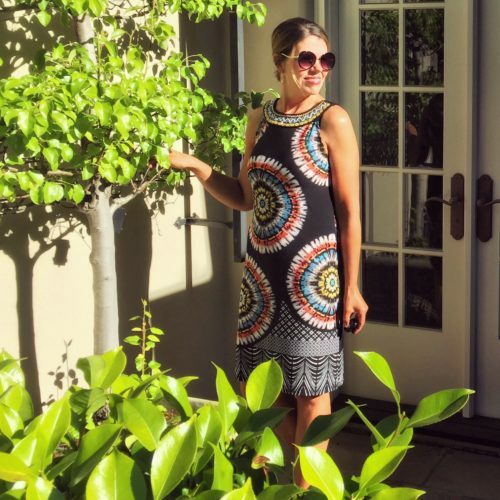 You’ve seen the darling Bella Baynard here before – usually behind the scenes as the photographer for style and collaboration events with my blogger sister Kanesha Baynard of Bold Living Today.com. Speaking of Kanesha, you may just want to pop on over to her blog, and check out her latest video collaboration, Boldness of Motherhood 2017, featuring Bold Mama’s around the country. I promise you’ll leave inspired! Sale you say? 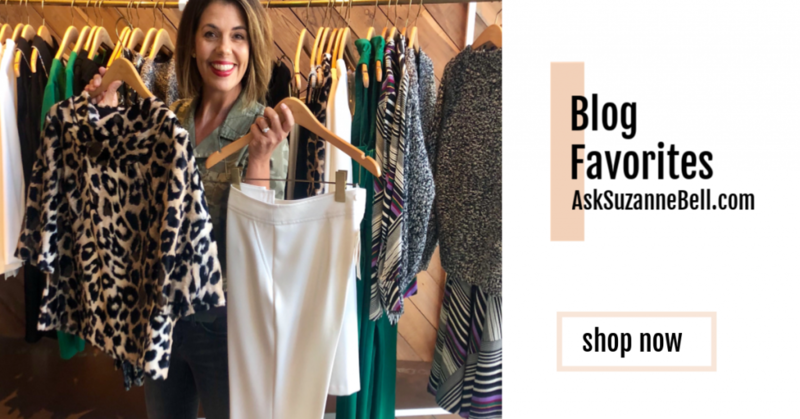 I’ve rounded up some past AskSuzanneBell.com picks that just hit the sale racks at the bottom of today’s post. There’s lot’s to cover so let’s get started! I love dresses during the spring/summer months. 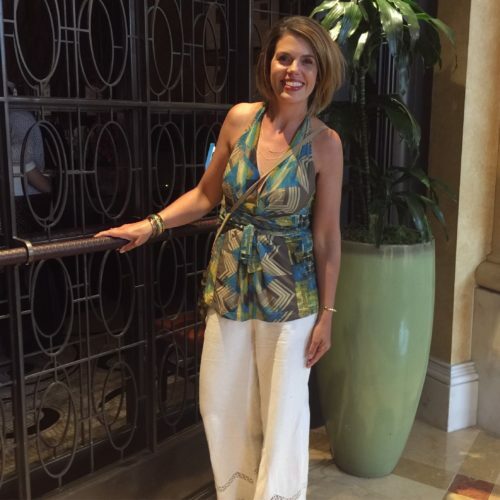 Maxi, midi – I am all about one piece comfort. A great place to pick up summer dresses is consignment shops. Locally, I shop Millie Mango in Burlingame or Repeter in Los Altos. Fillmore and 5th in Palo Alto also has a great selection. 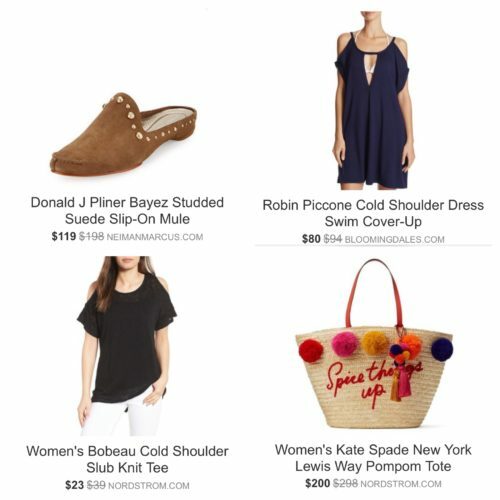 Online, I love Thredup – they have a large selection and I love their return policy! 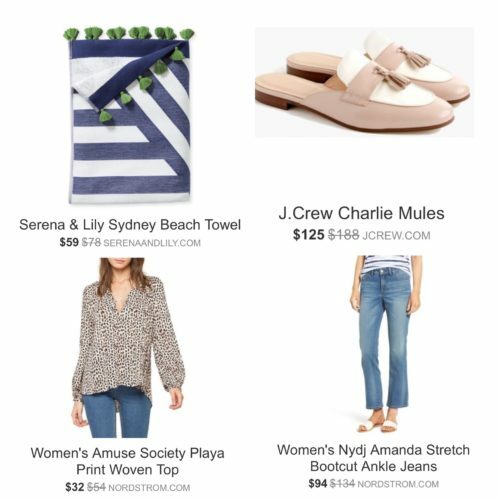 Each of the below looks, with the exception of the last two (those are from Nordstrom Rack) is styled up with a second hand find. 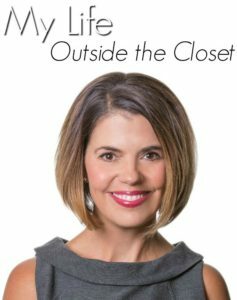 My tip for consignment, as well as discount shopping, is to make a list of what you need in your closet – voids you need filled. Stick with the list to avoid getting off in the berries and picking up pieces “because they are a good deal”. Nothing is a good deal if you don’t wear it, and everything second hand is a deal. Shoes are something I chose to invest in – especially styles I know I’ll wear every day. These lace-ups from Paul Green have paid for themselves and then some. Where do you chose to invest your shopping dollars? Where do choose to save? I love how Bella tied the belt in the back, for a more streamlined look! 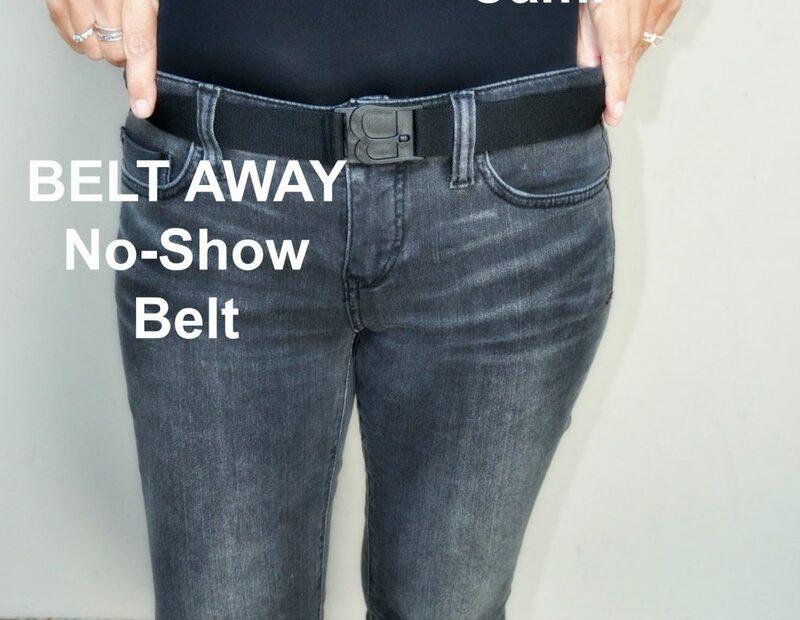 Style Tip: Try turning your belt around with the buckle in the back and see what you think! 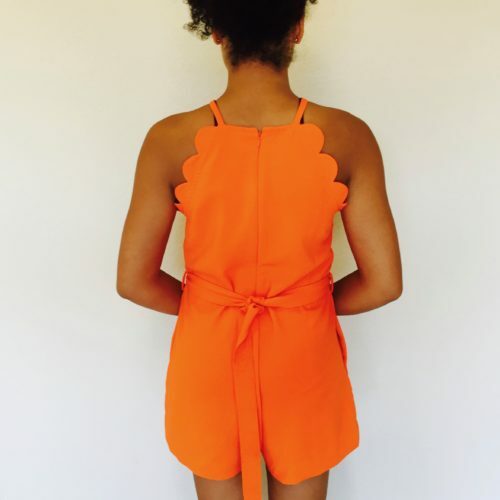 Bella’s romper is now on sale for $24.50 (HERE). For all Victoria Beckham sale, click HERE. You can follow the fabulous Bella on Instagram @BellaBay.co (HERE). While your there, check out the gorgeous hand-etched yellow dress she designed and created – by herself for prom! I’ve already put myself on the list for a custom couture gown when this talented young lady has a line of her own! You’ve seen them before. These AskSuzanneBell.com featured pieces hit the sale racks this week. Before I go, did you all get a chance to enter the JORD wood watch Giveaway? JORD will be giving $100 towards a watch on their site for one lucky winner, plus everyone who enters gets $25.00 towards a watch at the end of the contest! Wow! 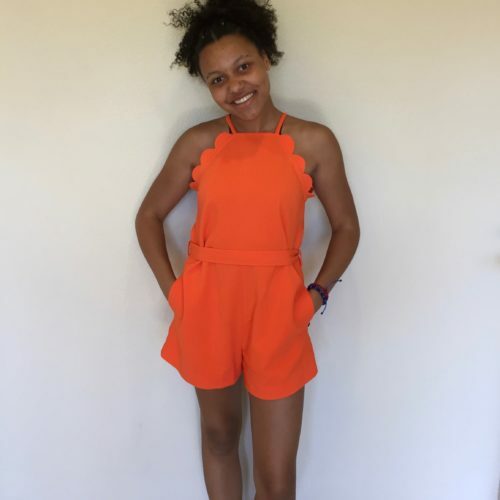 this post is packed with beautiful outfits! Thanks so much for stopping by Ladies who link up! hope to see you next week! Peace! Great post Suzannejust live it! Have a great weekend! Hi Helen! Thank you for the idea to post some second hand finds. I plan to do a future post with more tips for second hand/consignment shopping as I do feel like a guide is helpful as to not overfill our closets with “great deals” Hope you are enjoying the weekend! Love seeing your “winter” looks over on IG! if I did decide to invest, is this a trend that is here to stay, or will i be buying just as the monogram becomes passe? Hey Dianne! First off, so great to see you here! 🙂 OK, so here is my simple advice when it comes to designer bags or any purchase for that matter. If you LOVE it, and it speaks to you and your style – then go for it. But only if it works for you and your lifestyle. I PERSONALly invest big in shoes and denim. I have friends who invest in gorgeous bags. With shoes, If I buy a “cheaper” pair, I find I still think about the more expensive pair and end up buying it anyway, making the cheaper pair a waste of money and space in my closet. If you find something you love, and you can’t stop thinking about it, you will wear it all the time – and the cost per purchase becomes very REASONABLE. Bags are a great investment because we wear them all the time. 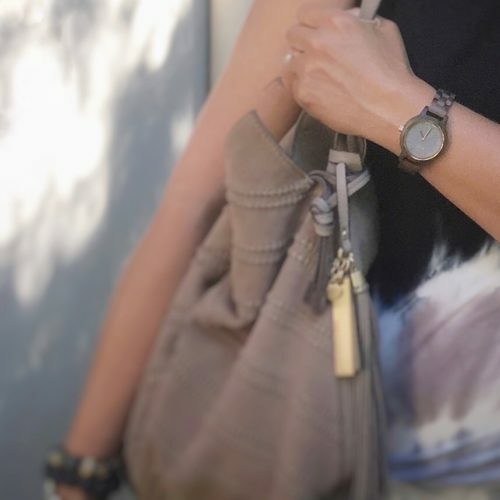 Before you go for it, think about your lifestyle – do you need a big bag, a hobo or tote – or a smaller “ladies who lunch bag” If I was going to invest in a LV bag, I would want it to be a style that I could wear all the time. 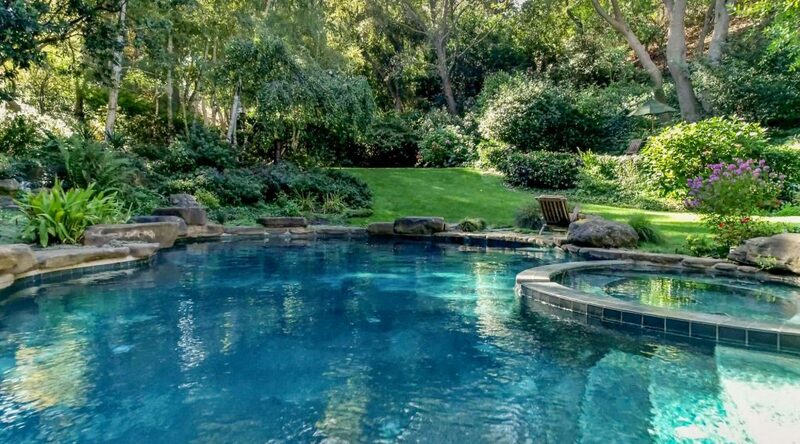 As to the question of it going out of style, invest in a classic style and color – stay away from the trend of the moment. I have a gucci classic bag from the 80’s that if it was a larger size, I would still wear it today, it’s a classic. I’ve purchased designer bags in the color of the moment before and always wish later I had bought black or tan as the bag would still work with todays fashion. You own beautiful dresses, Suzanne! This outfit inspirations are all great. But my absolute favorite one it the first suggestion. I had to post it. LOL. Thanks for linking up to Top of the World Style. Brillant Looks – love the whole collection!